For tennis coaches and players, Skills Coach Tennis is an effective coaching tool for rapid skill development and technique correction in tennis. After just one session a player has an 80% or better probability of immediately performing in the new, correct, way, without having to suffer through the customary adjustment period. This large and immediate effect and the elimination of the typically prolonged adjustment period set Skills Coach Tennis apart from all other coaching tools. These claims are based on feedback from sports institutes, coaching case studies, user feedback and the results of published experimental research. As an old tennis coach once said, "The problem is not learning the new; it's forgetting (unlearning) the old." If you have ever tried to fix a persistent problem with your game you will know how true this statement is. Thankfully, all those skills coaching sessions appear to be paying off. You practice and practice and your technique shows obvious improvement. However, as soon as you get out on the court and are left to your own devices or placed under the stress of competition, your game falls apart and you revert to those old, wrong, ways. Current skills coaching methods emphasize practice of the correct technique because we know that practice and drill are essential for developing “new” skills, at least when players are a "blank slate" for the coach to write to. However, practice is much less effective when players are not a clean slate and they already have an ingrained "wrong or incomplete" idea or misconception that misdirects their technique, or they already have an entrenched technique problem from previous self-coaching efforts or poor coaching. Biomechanical experts say that it can take many, many practices before the new, correct, technique becomes consistent and replaces the old, incorrect, one. This is called the 'adaptation period' and we have all gone through that misery. Cognitive science research shows that the adaptation period is caused by a mental mechanism called habit pattern interference, generated by the differences and subsequent conflict between the "right" and "wrong" technique. Habit pattern interference disables new learning and greatly slows improvement, despite quality coaching. 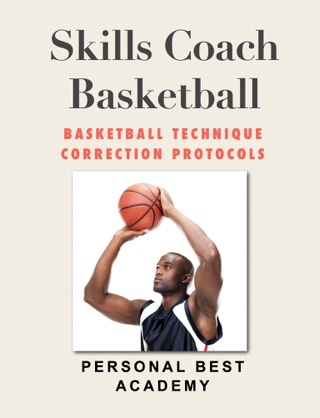 Skills Coach Tennis successfully tackles the transfer of training problem by (a) overcoming habit pattern interference; (b) greatly reducing or eliminating negative transfer typically encountered by more conventional coaching methods; and (c) eliminating the adjustment period during which the player struggles to adapt to the new way of thinking and performing. > Nine simple steps, illustrated with an actual coaching case study. 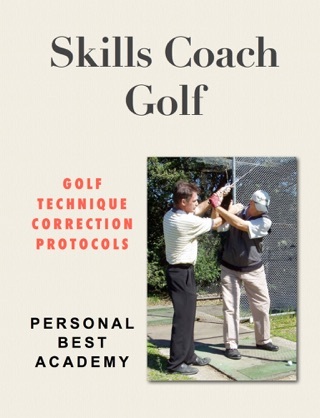 > Explanation of the coaching science that underpins the method. > Detailed help screen for each step, for first-time users. > Skip mode so you can move quickly from one step to the next, for experienced users. > Support website with coaching case studies, published research and email support from the author.